Federal Reserve Chairman Ben Bernanke told Congress Tuesday that any hope for an economic recovery will hinge on the government's ability to prop up shaky financial markets. The effectiveness of a string of radical actions taken by the Fed, the Treasury Department and other agencies to stabilize markets "will be critical determinants of the timing and strength of the recovery," Bernanke said in testimony to the Senate Budget Committee. The Fed chief found himself on the hot seat when lawmakers voiced concerns the government's new $30 billion lifeline for ailing insurance giant American International Group. The latest plan, announced Monday, marked the government's fourth effort to stabilize AIG. Both Democratic and Republican lawmakers expressed skepticism over whether the action would work, said they were worried that more taxpayer money will be needed to rescue the company and demanded more accountability. 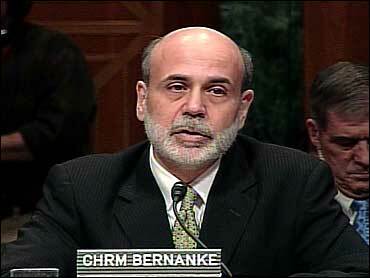 "I share your anger," Bernanke said. The government didn't really have a choice but to take the action because a collapse of AIG would have grave implications for the country's already fragile economic and financial health, he added. "We're no better off," huffed Sen. Jim Bunning, a Kentucky Republican. "The bottom line: the Fed and the Treasury will leave the door open for more bailouts in the future." President Barack Obama's recently enacted $787 billion stimulus package of increased federal spending and tax cuts should help revive moribund consumer demand, boost factory production over the next two years and "mitigate the overall loss of employment and income that would otherwise occur," Bernanke said. However, the Fed chief warned that the timing and magnitude of the impact of the stimulus package is subject to "considerable uncertainty, reflecting both the state of economic knowledge and the unusual economic circumstances that we face." The recession, now in its second year, is inflicting more damage to the economy daily as layoffs mount and companies cut production. The U.S. economy contracted at a staggering 6.2 percent in the final three months of 2008, the worst showing in a quarter-century, and the Fed has said it will probably shrink during the first six months of this year. Recent economic barometers "show little sign of improvement," Bernanke said. The nation's unemployment rate in January jumped to 7.6 percent, the highest in more than 16 years. And the number of newly laid-off people signing up for unemployment benefits has risen since mid-January, "suggesting that labor market conditions may have worsened further in recent weeks," Bernanke said. The government will release February unemployment data on Friday and many economists are predicting the unemployment rate rose to 7.9 percent last month while employers cut nearly 650,000 jobs. With jobs vanishing, nest eggs cracking and home values tanking, consumers have reined in their spending. That has forced companies to lay off workers, trim production and cut back in other ways. It's a vicious circle of negative forces that feed on each other, deepening the recession. In back-to-back appearances on Capitol Hill last week, Bernanke planted a seed of hope that the recession could end this year if the government was successful in turning around wobbly financial markets. But the Fed chief didn't repeat that remark in Tuesday's testimony. Bernanke said the government has made some progress on the financial front since last fall, but he told lawmakers that more needs to be done. "We still haven't figured out a way to rid the banking system of its toxic assets and the banking system is really the heart of the body," Liz Ann Sonders, chief investment strategist at Charles Schwab and Co., told CBS News. On Monday, the government threw floundering insurance giant AIG another $30 billion lifeline, raising the company's total federal aid received to $170 billion. AIG's record quarterly loss of over $60 billion sent the Dow Jones industrials diving well below 7,000, hitting a mark not seen since 1997. On Tuesday, though, markets appeared to steady themselves after the massive selloff. The Obama administration has revamped a $700 billion financial bailout program aimed at strengthening banks, but has said additional money could be needed. Obama's first budget holds out the possibility of spending $250 billion more for additional financial industry rescue efforts. "Whether further funds will be needed depends on the results of the current (stress tests) of banks, the evolution of the economy and other factors," Bernanke said. Meanwhile, The Federal Reserve on Tuesday rolled out a much-awaited program aimed at boosting the availability of credit to U.S. consumers and small businesses.